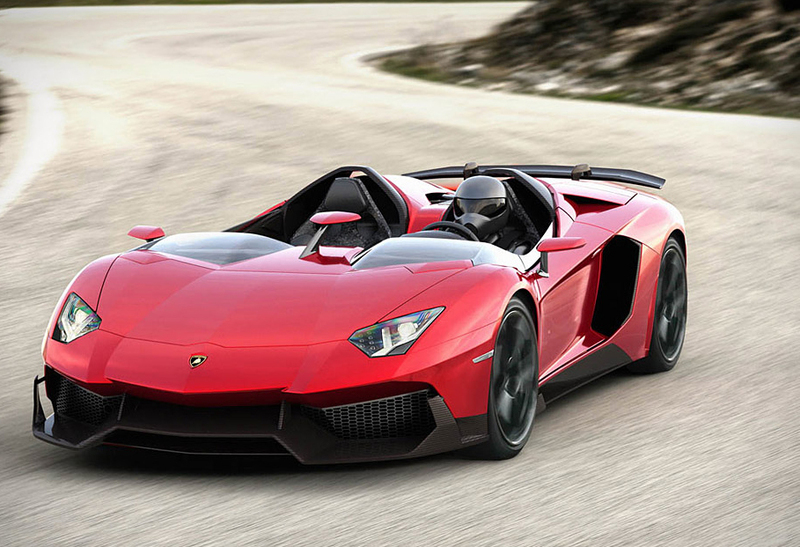 The Lamborghini Aventador J is a street legal, open-air race car, with two wind deflectors to protect you from flying debris. Needless to say, helmet is a good thing to have. And since you’re already wearing a helmet you don’t need car luxuries like audio system, navigation, or air conditioning system. To save even more weight and make the drive much less comfortable they created the seats from “Carbonskin.” The car is powered by the usual 700-hp 6.5-liter V12 as the regular Aventador and currently there is only one in existence and I highly doubt that Lambo will make many more, so good luck finding one especially since as of now there is no price set for this vehicle.